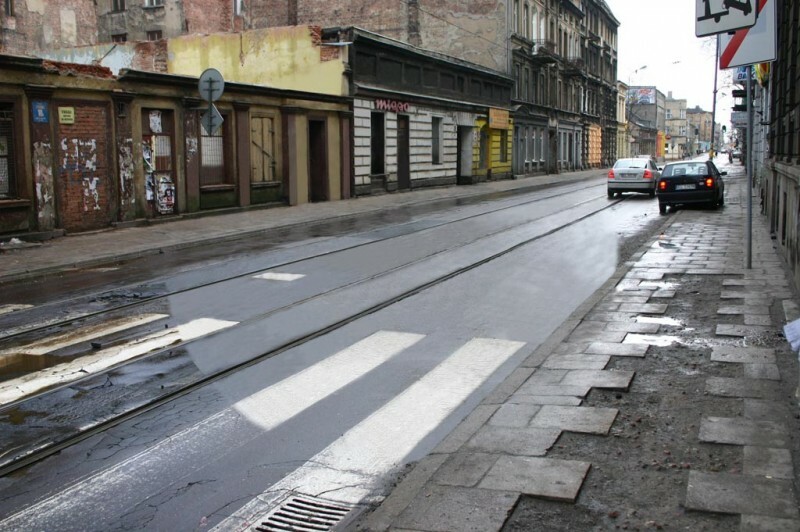 Artur Chrzanowski (born 1973) studied in the Studio of Technical Graphics run by Prof. Tomasz Chojnacki and in the Studio of Applied Photography run by Grzegorz Przyborek within the Academy of Fine Arts in Łódź. 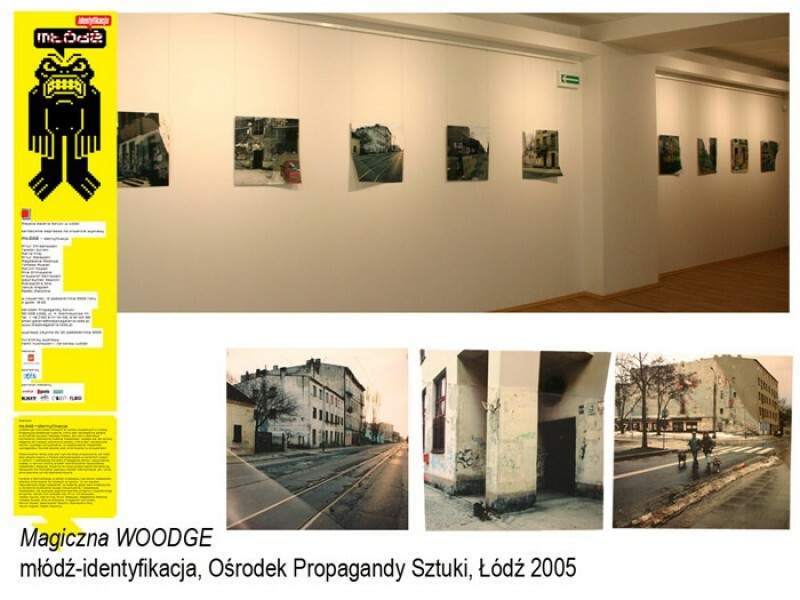 Between 2005-2008 he was a deputy dean, now he is an assistant professor in the Studio of Photography in the Department of Visual Arts and a coordinator of the Erasmus program at the Department of Visual Arts. 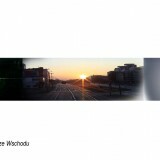 Chrzanowski received second prize from the MiO Photo Award Competition in Japan and the Grand Prix of the 18th Władysław Strzemiński Competition in Łódź. 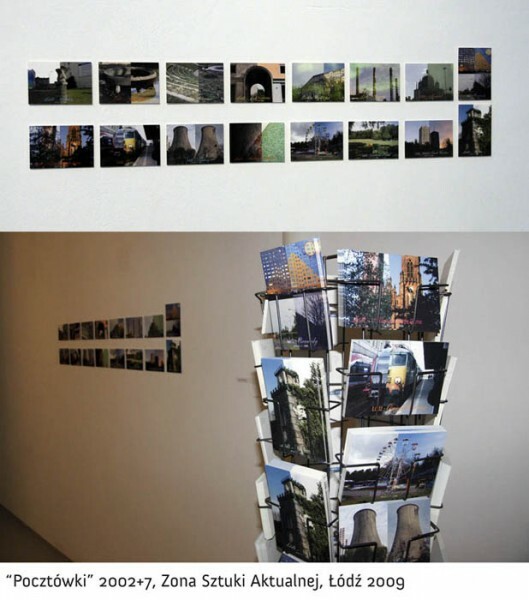 He creates artworks mainly in the medium of photography, but also expresses his creativity through video, graphics and drawing, and he also devises site-specific projects. 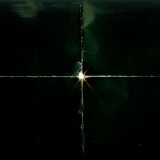 Chrzanowski concentrates on issues related to light – both its material and mystic aspects. 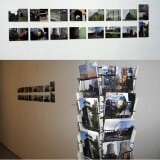 He is also interested in the urban environment close to him. 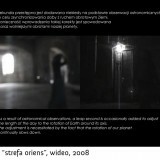 He creates photographs and gives them a specific, a bit unreal climate using simple measures. 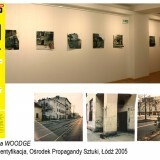 An example of this kind of activity is work entitled Postcards (2001) completed as a project in the Manhattan Gallery in Łódź. 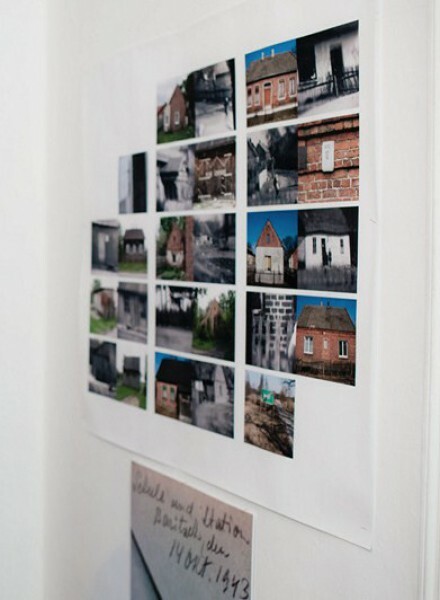 Chrzanowski showed photos of Łódź and chose fragments to be signed with the names of places which are well known in the world. 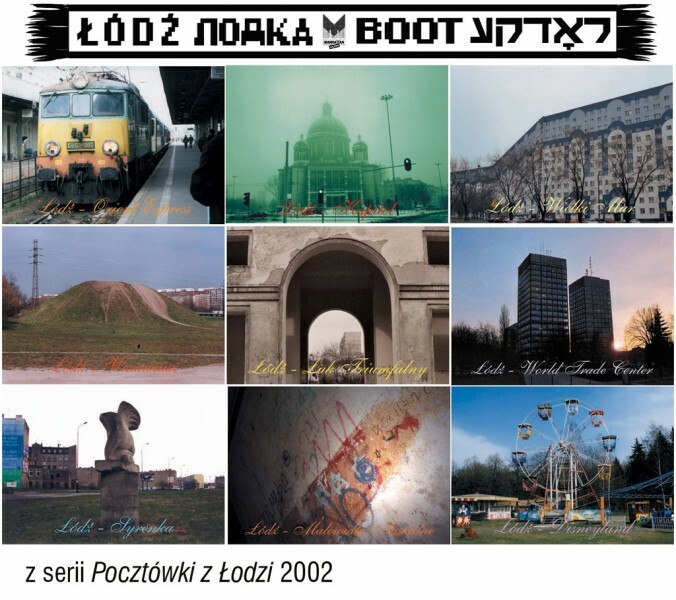 This way a long block of flats in Łódź received the name “The Great Wall”, a train at the Łódź Fabryczna station – “The Orient Express”, murals in the underpass became the Kondoa Rock Paintings, chimneys in Łódź – became columns and a meadow in one of the parks in Łódź – received the name Central Park. 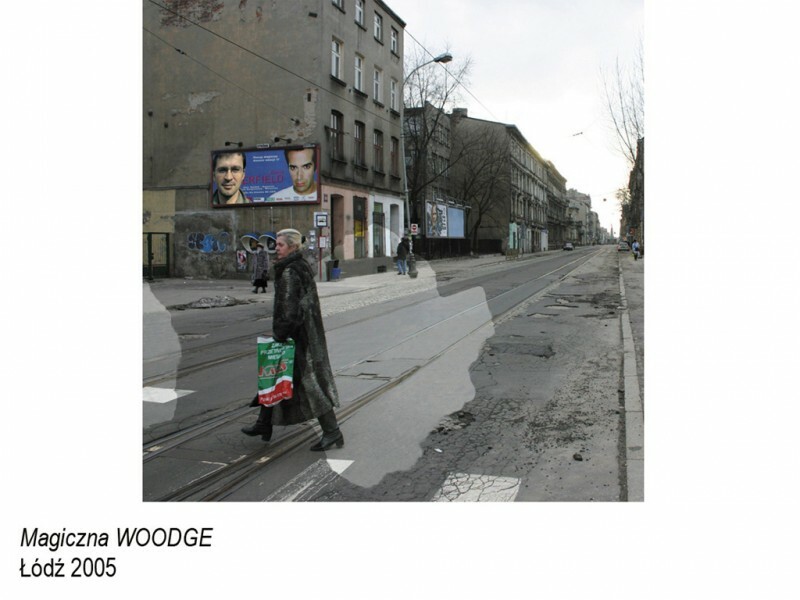 Through using signatures under the photographs, a simple measure of association and comparison, the artist gave the not-so-beautiful images of the city of Łódź a new context and re-interpretation. 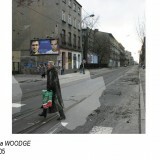 In the work Magic Woodge (2005) he chose to preserve the landscape of a destroyed, dirty city including its holes in the roads. 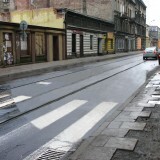 Within Chrzanowski’s photos there are sometimes however spots which are digitally retouched, idealized and “revitalized”. He shows here contemporary technical possibilities, available when processing photographs and questions the primary function of photography, which is a careful and objective preservation of the image of reality. 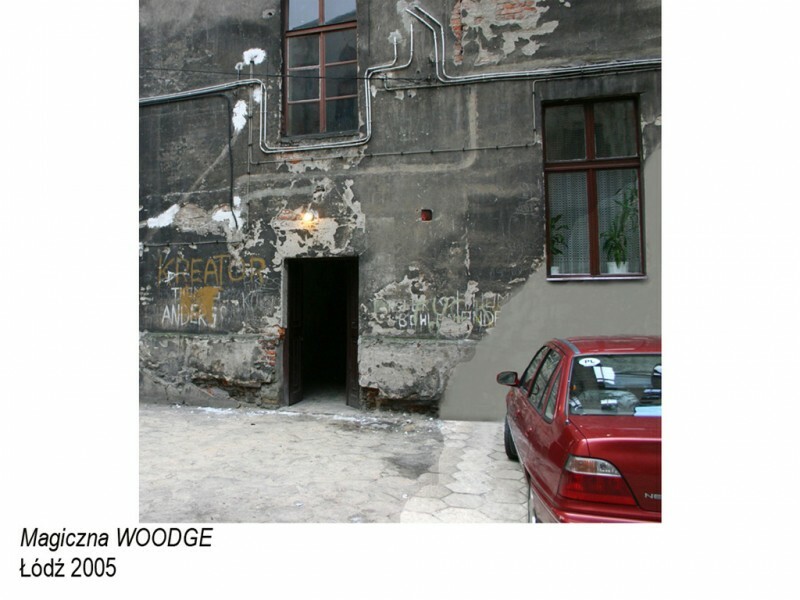 The possibilities of photography as a medium, which allows one to register reality is an issue which often shows up in Chrzanowski’s art. 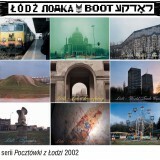 In 2009 with the work entitled genius_lodzi [Łódź genius] he posed a question about the spirit of the town in which he lives. 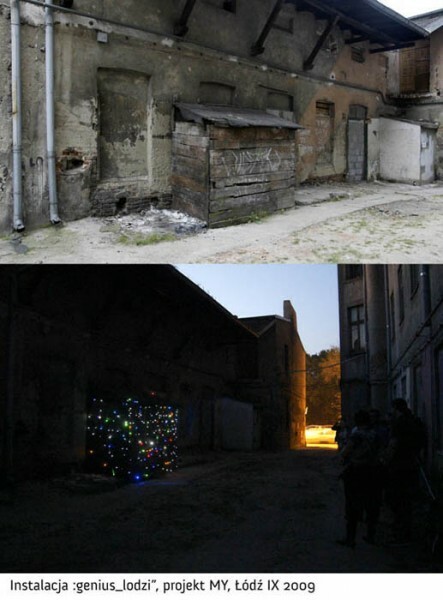 The artist changed the space of one of the abandoned yards in Łódź, decorating a small wooden annexe with colourful, flickering lights. Thanks to this measure, the rundown cell became an aesthetic object. 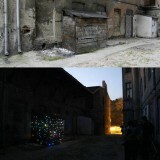 Something which was dirty, ruined, ugly and inconspicuous, thanks to this little intervention, became an attractive, sparkling and interesting object. 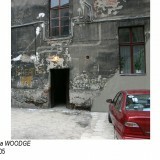 During the International Art Meetings in Zbąszyń in 2010 he made genius_lodzi2. 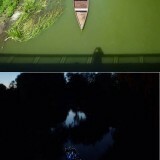 This time he adapted a boat sailing on a lake. 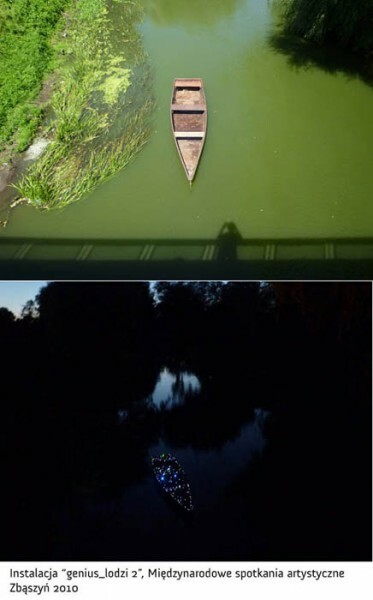 The artist used light with which he marked the boat in order to change the perception of the place. 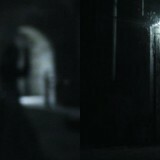 He used an element of photographic thinking here, in which one constructs the image of a space using light. 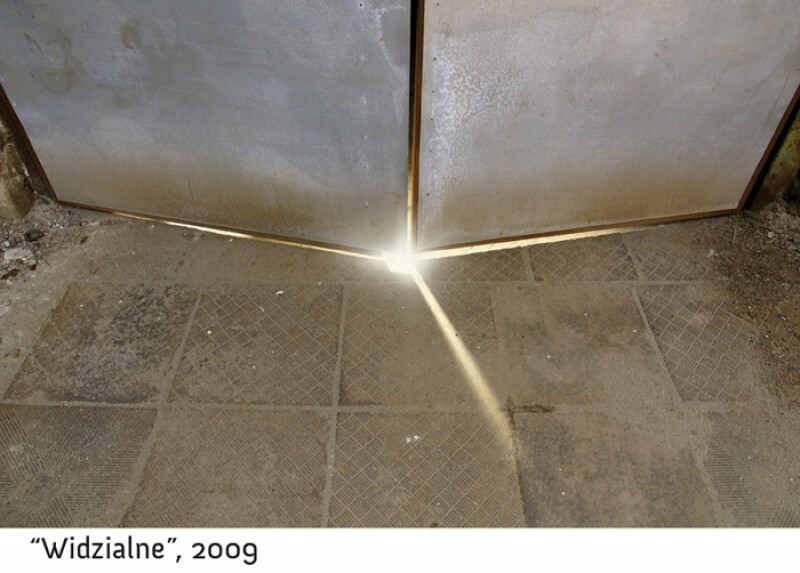 The subject of light also shows up as a theme within his art practice. 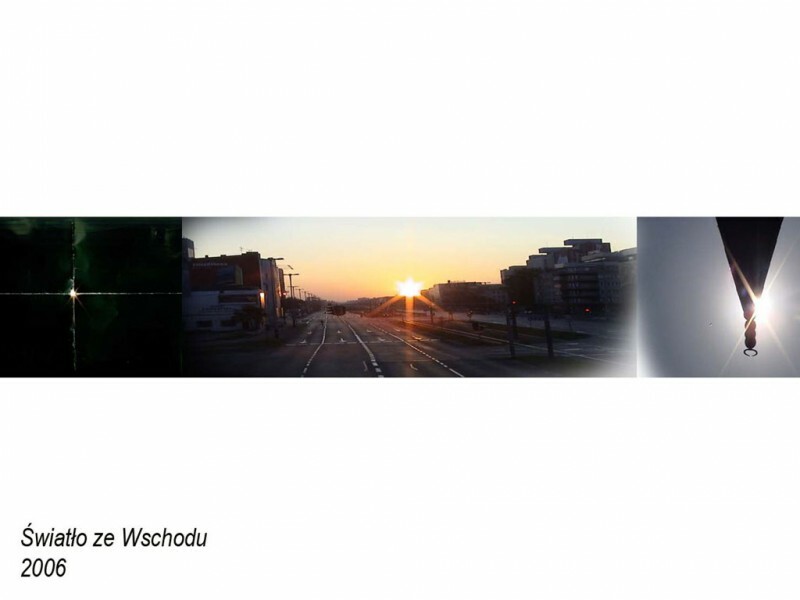 In 2006 Chrzanowski completed the work The light from the East, in which he referred not only to the sunrise, which we see in the central section of the work, but also to the sentence “ex oriente lux, ex occidente lex”, and to the culture-productive role of the East. 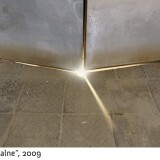 The light reveals the object, but also its often ambiguous meaning. Its role in photography is particularly important. However in this work Chrzanowski raised not only issues related to photography but also referred to the light associated with enlightenment, the mystical element, culture and the spiritual sphere. 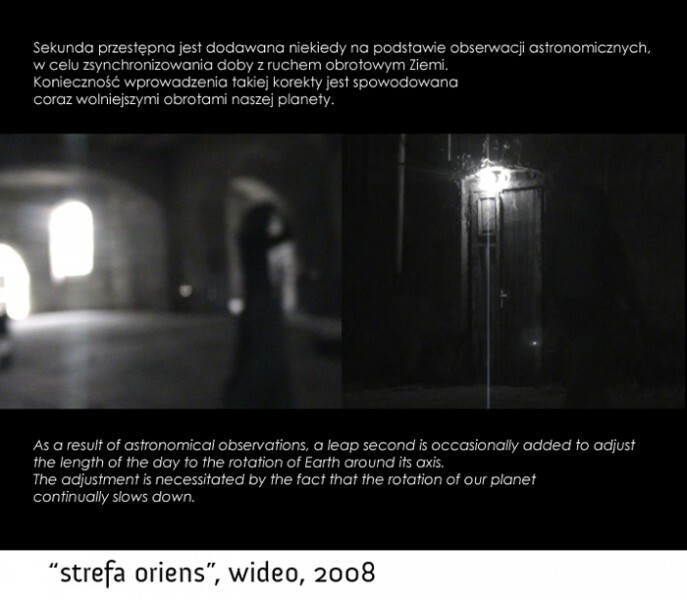 These issues were developed further in the work oriens sphere (2008). The starting point was here ‘an intercalary second’, which is something that equalises the difference between time calculated by atomic clocks and the circumvolution of the Earth. It is added in order to synchronise the day shown by the clock with the circulation of the planet. Since 1958 when clocks were synchronised for the first time, one adds an intercalary second at certain time intervals, because from astronomical calculations it is a fact that the Earth spins around its own axis slower and slower. Chrzanowski here referred to the mystical role of light. In one of the most recent works the artist referred to found photographs, taken in 1943 by Ernst Koeppen. 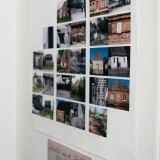 Chrzanowski not only re-photographed the photographs found, but also scanned them. 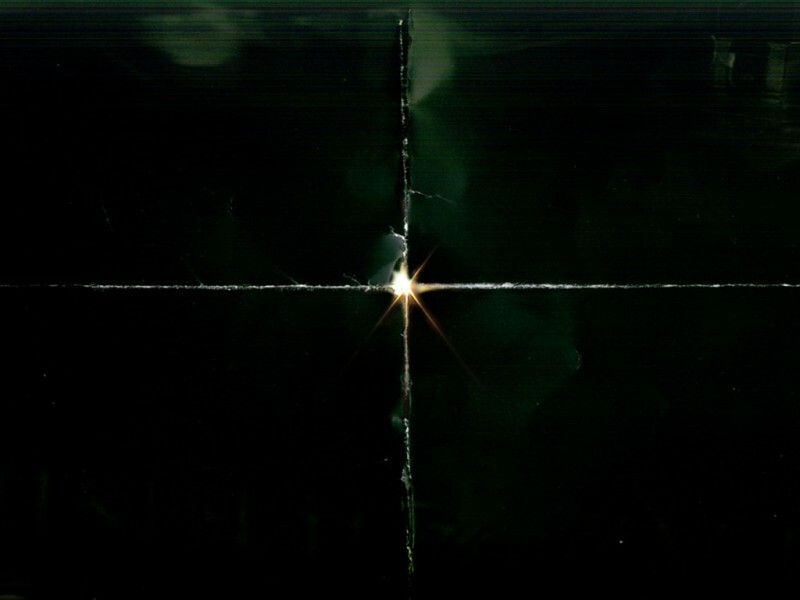 By doing so he drew attention to the possibilities of showing a non-material or even spiritual content through photography that is ambiguous and very subjective.